The holidays are quickly approaching. 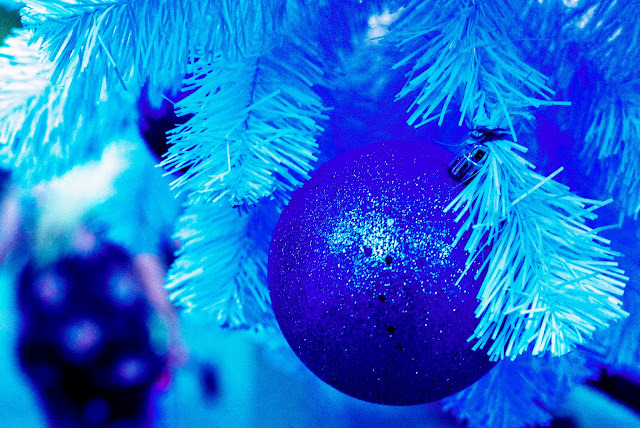 It's time to meet Santa! Let me start this post by saying that I now have a new camera/lens combo. I'm still learning how to use it. I will apologize for the inconsistency in photo quality. Let me also state that this post is bound to change with each stop we make to the event. 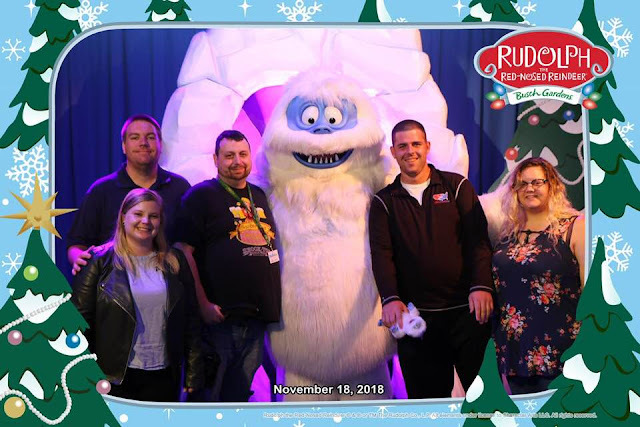 Stormy, Chris, Matt, and Ashley made our yearly trip to Busch Gardens' Christmas Town over the weekend and it's time to tell you guys all about it! There were a lot of changes to this year's lineup, from Jungala being closed, to a new show at Dragonfire Grill. Lets discuss the new changes, what you need to know, where to go, etc. Ladies and gentlemen, welcome to the end of the year in Tampa! We will be making posts about a few of these events, along with a bunch of other things that you will need to know about throughout the end of the year. Lets get it started! Busch Gardens recently announced their dates for Howl-O-Scream for 2019 and they are extending the dates and (seemingly) the times as well. After coming to Christmas Town, it looks like they're pushing their events a lot harder than they used to in previous years. This year's Christmas town seemed to have a lot more lighting and a lot more in the way of decorations, along with a lot more cohesion. The penguin trail is a good example, as you walk through the walkway with a bunch of lit up penguins that eventually lead to the penguin enclosure. 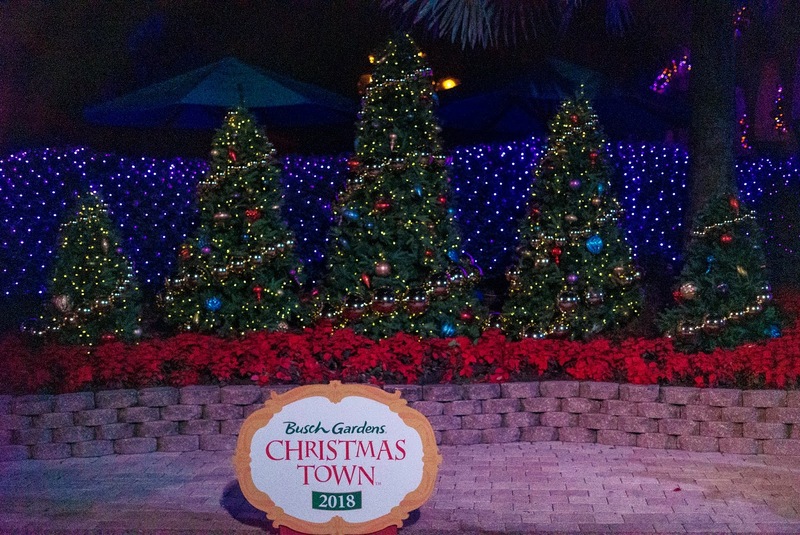 The biggest advantage of Christmas Town is that you never forget that you're at a special event at Busch Gardens, the entire park is themed. There are, of course, some areas of the park that are more heavily themed, but there are none that are lacking. They do offer front of the line passes for the meet & greets, guided tours around Christmas Town, and a brunch with Santa option as well. 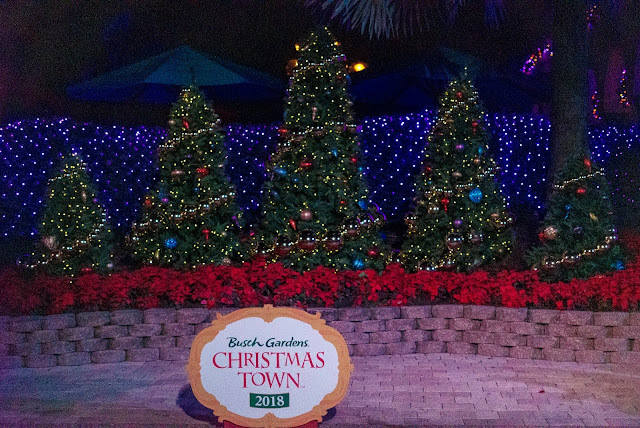 Christmas Town is free with admission into Busch Gardens. There is NO SEPARATE TICKET to get in! "But Mark, I'm bringing my kids and they want to meet the characters!" Ok, lets talk about how this is set up. It is weird. So, you show up to a ticket window area (again, this is free with park admission) and you get a ticket with a return time on it. You're free to wander the park, get something to eat, get some of the craft beer in the area, ride some rides... Do whatever you like until your return time. Once your return time comes, you simply show the ticket to the staff and they let you down a decorated pathway that leads to... Another line. The idea is that you're not waiting in an hour+ line. Once you're in line, it takes about 15 minutes to get into the character meet & greet (this can obviously change on busier nights). Now Santa's house and the area with Rudolph, Sam, and Bumble are two different meet & greets (you'll need to get separate return times for both). Santa's house is, obviously, the bigger of the two. This doesn't mean that the others aren't worth visiting, though. If you have smaller children, I imagine this will be one of their favorite parts of the event. The singalong train is back again this year for a good 10-15 minute loop of all of your favorite Christmas carols. The one downside to this is that, during Christmas Town, the train will not drop you off at any of the stops. The upside is that if you're like me, and enjoy seeing the animals, you can ride the train without stopping at every stop. If you prefer a less crowded ride, catch one of the later train rides. If you want to see animals, catch a ride during the day. If you did this train in previous years, it hasn't changed. 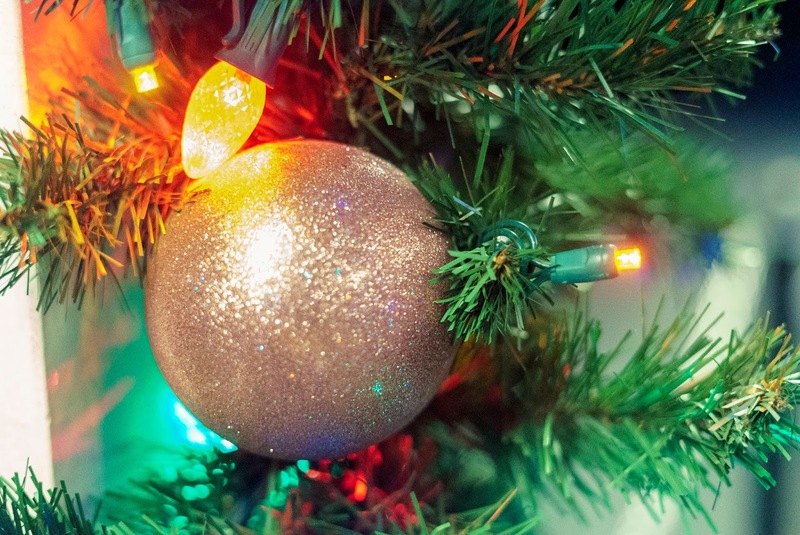 If you enjoy singing along to Christmas songs, or you just enjoy riding on the train, it's worth the trip. Let me now discuss my least favorite part of Christmas Town: The new show. These are the same singers and dancers you see at every special event show at Busch Gardens, so their talents are obvious... If you're not familiar with these faces, and this were the first time you saw them, you wouldn't know how talented they really are. The show had promise when it started off with the piano opening, but the minute the singing and dancing started, it fell apart. It all seemed thrown together last minute, the dancing seemed lazy, and the song choices were boring at best. We've seen this cast before and we've seen them do some amazing performances. Why you'd take such a veteran cast and waste them on a show like this baffles me. If you're considering seeing this show, I would suggest doing so while you eat so that you have more of an excuse to be there. It might be more entertaining if you're there to eat and just happen to have a show going on than it is if you're going for just the show. That said, everyone agreed that it was the weakest part of the event. The merchandise this year didn't change all that much from last year and the shop they use as the horror shop for Howl-O-Scream becomes the Christmas shop. The prices of merchandise, considering it's a theme park and these are holiday sales, aren't as ridiculous as I was honestly expecting them to be. There was some cute and clever merchandise on sale during the event, though I would say that this single shop had the most interesting pieces. Don't expect this shop to be set up as creatively as it was for HOS though. There are a lot of really cool things to check out though. 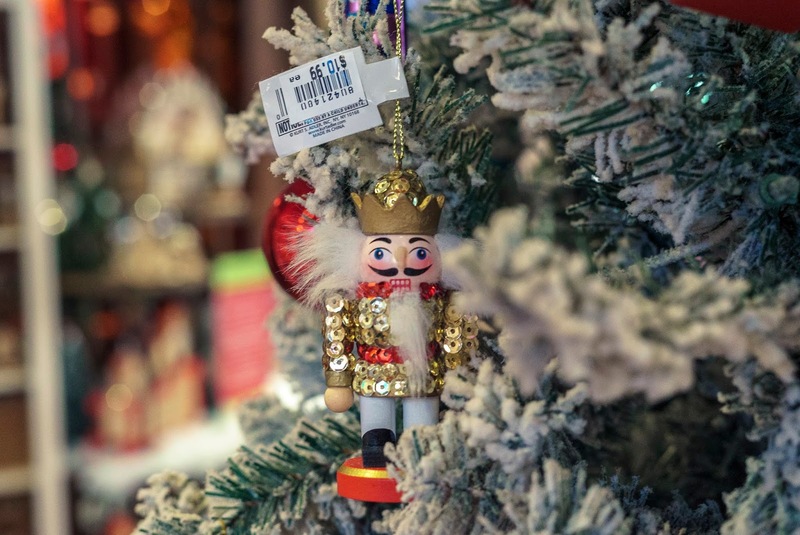 Get yourself a stuffed Bumble, or a miniature nutcracker, or even a new ornament for your tree. Overall, this is a great family event, as are most held by Busch Gardens. 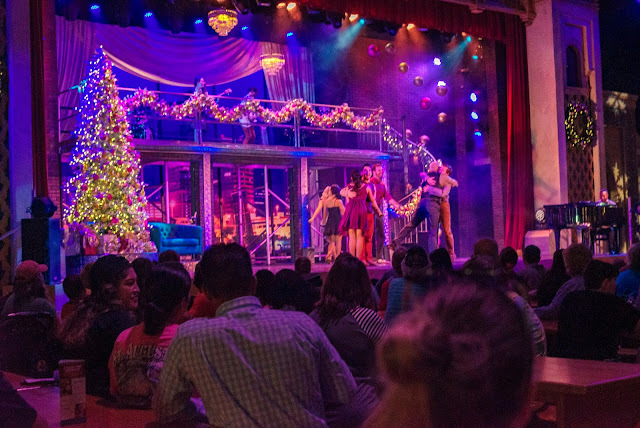 Busch Gardens has been upping their game recently when it comes to events and I think we might be seeing them try to take on some bigger companies (Universal, Disney...) in the way of productions. 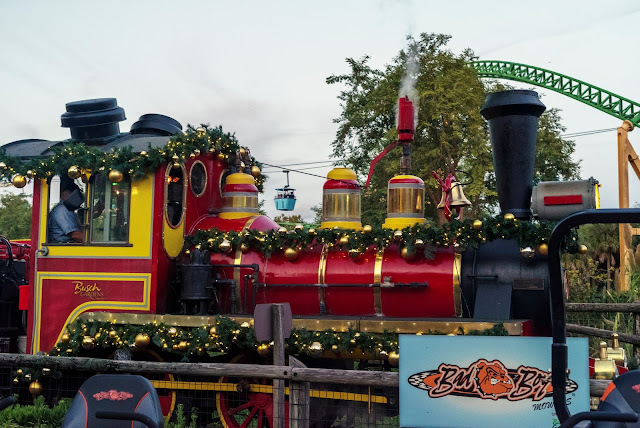 2019 will be the year Busch Gardens proves that they have what it takes to go toe-to-toe with the big guys. Between their announced two new coasters and the extension of Howl-O-Scream next year, we're going to see a big push. This may also be a case of Busch Gardens trying to pull an Epcot wherein there's an event seemingly going on year round. I guess we'll see how the next year plays out. 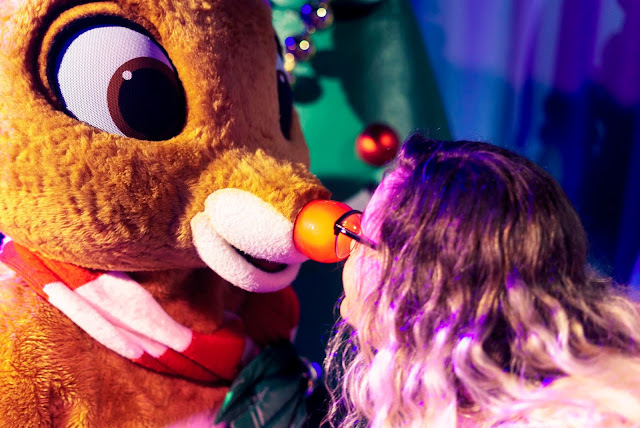 If you're looking for a nice, family-friendly event that encompasses everything that you could possibly want to do Christmas related, then Christmas Town at Busch Gardens is your event. - This event is FREE with park admission. There are no extra charges to experience the event (there are upgrades, however). - This is an incredibly family friendly event. - The event encompasses the entire park. - Jungala is down during this event, as is Gwazi Park. - This post is bound to be updated during the event. Do you enjoy looking at Christmas lights? Who's your favorite character to meet? Leave a comment below. If you'd like more information on Tampa, check out my YouTube Channel and if you'd like to support my efforts, don't hesitate to buy a shirt from our Spreadshirt (we have new designs!). Also, don't be afraid to click subscribe and you'll instantly be notified whenever a new entry is posted. Thank you all and I will see you next time!